When considering which piece of fitness equipment is going to be the most beneficial in your home gym, there are a few common types to choose from. Most people either look for a treadmill, exercise bike or cross trainer. However, if you are looking for a full-body workout then the only real option is an indoor rowing machine. They offer a high calorie burning workout that will help you lose weight and reach your health and fitness goals. In addition, they can be easily stored away and offer much better value for money than you get with a treadmill or elliptical. So if you are looking for the best rowing machine, we’ve put together this guide of the top models to buy in 2018. If you have a budget in mind, then this section is for you. We’ve scoured the internet to find you the best value models at a variety of price points ranging from under £100 to over £1000. 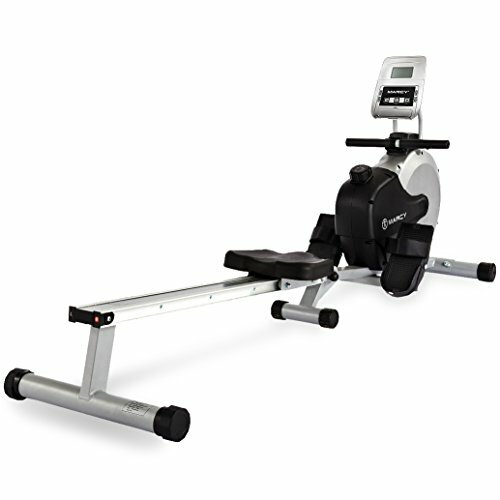 Widely considered the best air rower on the market, the Model D is the go-to machine for commercial and home gyms. 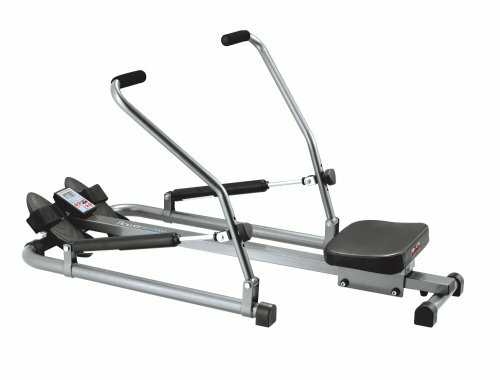 Priced at under £1,000, this model is a sturdy well-engineered machine that will provide a great cardiovascular workout and last for years to come. In addition, it comes equipped with the excellent PM5 onboard computer. This provides plenty of program options and accurately tracks a wide range of metrics. If you have a compatible smart phone (iPhone or Android), you can connect to the monitor wirelessly to get extra feedback on your workouts. If you want the most authentic rowing experience, then you can do no better than using the WaterRower Original. Water resistance offers a smooth and tranquil workout while providing plenty of resistance. In addition, it comes built with a high-quality handmade wooden frame and can feel the quality with each stroke. However, the high level of workmanship does come at a price and is one of the priciest models in our list. Nonetheless, it also comes with the S4 monitor which has all the features you could ever dream of. You can even race other users over the internet on a virtual river. Without doubt WaterRower offer the most enjoyable rowing experience that is as close to real rowing as you will get from the comfort of your own home. 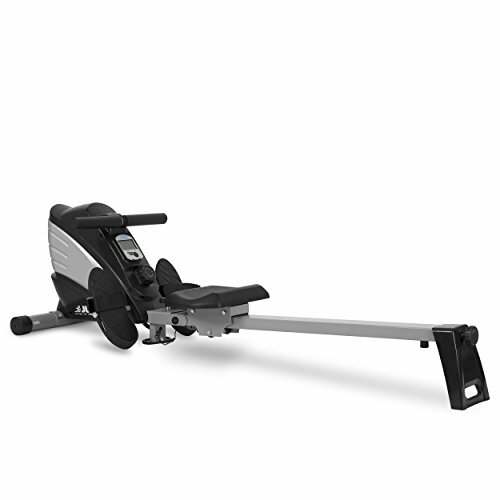 Combining air with magnetic resistance to create a smoother stroke is why this mid-range rowing machine is ideal for strength and endurance training. Built with a foldable aluminium frame it is perfect for home. In addition, it can support users up to a maximum weight of 20 stone and the long seat rail can comfortably accommodate users 6’3” and taller. There are 16 levels of resistance to choose from and 8 pre-programmed workouts all controlled from the large LCD console. There is plenty of resistance of resistance to suit most users and it comes with a 2-year warranty for added peace of mind. 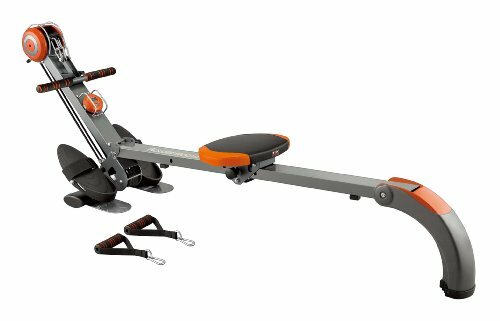 If you’re on a tighter budget but want a rower that will deliver a great workout without costing an arm and a leg, then the Tornado is a great option. Comfortable to use, foldable and strong, it can support users up to a maximum user weight of 18 stone. 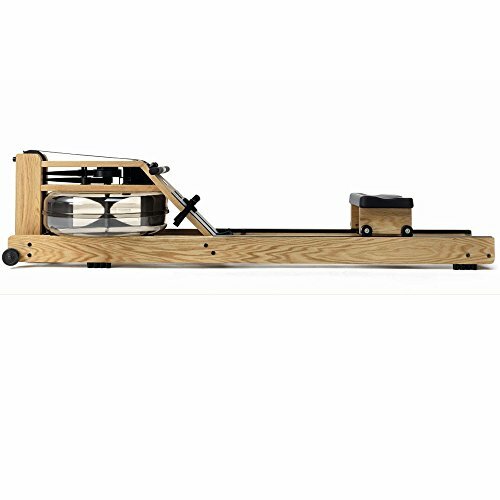 The air flywheel offers varied resistance which becomes more difficult the harder you row. The built-in console monitors your number of strokes, time, distance, strokes per minute and keeps track of the number of calories burnt. While the display lacks the features we have seen previous models, this indoor rowing machine can be picked up for under £250. 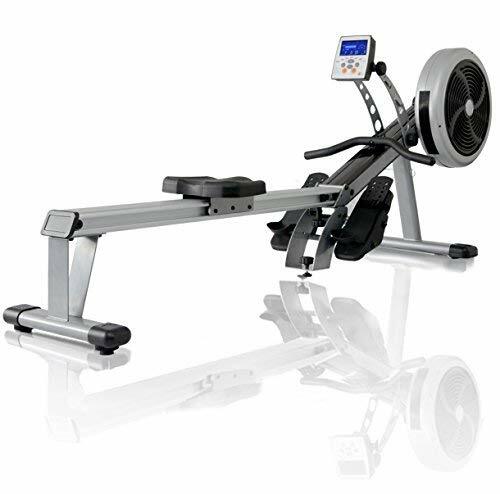 As the current top seller on amazon, it is no surprise the R200 is a good all-round rower. In addition, its compact/ foldable design makes it a great option if you’re short on space. There is a clear 3” LCD display which tracks total count, calories, distance and time. Furthermore, there are 10 levels of magnetic resistance which provides moderate resistance suitable for light cardiovascular workouts. For under £200 it is a great value for money and ideal for beginners. If you want a cheap and cheerful, no frills option this hydraulic rower by Body Sculpture is a great choice. With twin hydraulic cylinders that has 12 levels of resistance it offers plenty of variety while also being quiet. The comfortable to use and the rowing arms act independently of each other to feel like real oars. The monitor is basic but easy to use and tracks the time, number of strokes and calories burned. However, its compact design may not suit taller users. With 10 levels of magnetic resistance to choose from, the Sumi isn’t going to provide the most strenuous of workouts. However, for under £200 it provides a good cardiovascular workout in a compact and foldable design suitable for home users. In addition, it has a strong frame which is capable of supporting users up to a weight of 19 stone. The clear LCD display tracks distance, time, calories and strokes per minute. 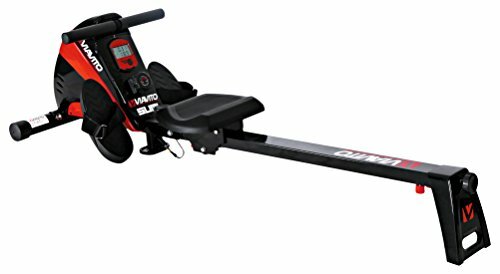 While not the most advanced rowing machine, it does the basics well and is fantastic for anyone looking to improve their fitness. Built with a solid steel frame, clear LCD display, foldable design and quiet magnetic resistance with 8 levels to choose from. While the resistance is light and only suitable for cardiovascular workouts. It is designed for beginners looking to get back in shape. The LCD display is well positioned and easy to see showing all the basic information you may need. Finally, for under £200 this model is comfortable to use and is a sound investment for anyone looking to lose some weight. If you are on a shoestring budget, this is the model for you costing about £100. Versatile, it uses resistance bands which can be used to perform a variety of different exercises by swapping the rowing handle out for two single grips. Therefore, you can tone up your arms, chest and shoulders as well as row. The no frills display tracks time, calories, stroke and has a scan feature. 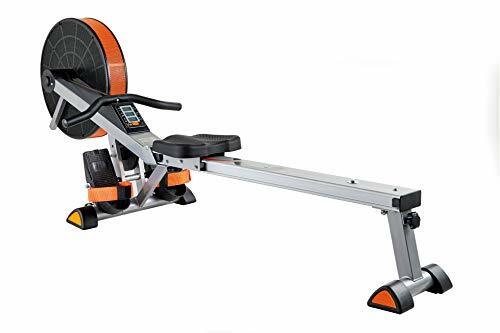 This is a very basic rowing machine with the price to match and is perfect for anyone looking to lose weight. Well, there you have it. I hope that you have found the information in this article useful and that you now feel much more confident about choosing the right rowing machine for you. Make sure to check out our detailed reviews for a closer look at each model and I wish you the very best of luck on your fitness journey.